Another snowy day, 3 inches of accumulation! So back to the archives. Based on Joanne’s post on My Life Lived Full I pulled out two pictures from hiking trips. Avalanche Lake in the Adirondacks is a long thin lake between rock faces, created by the glaciers. 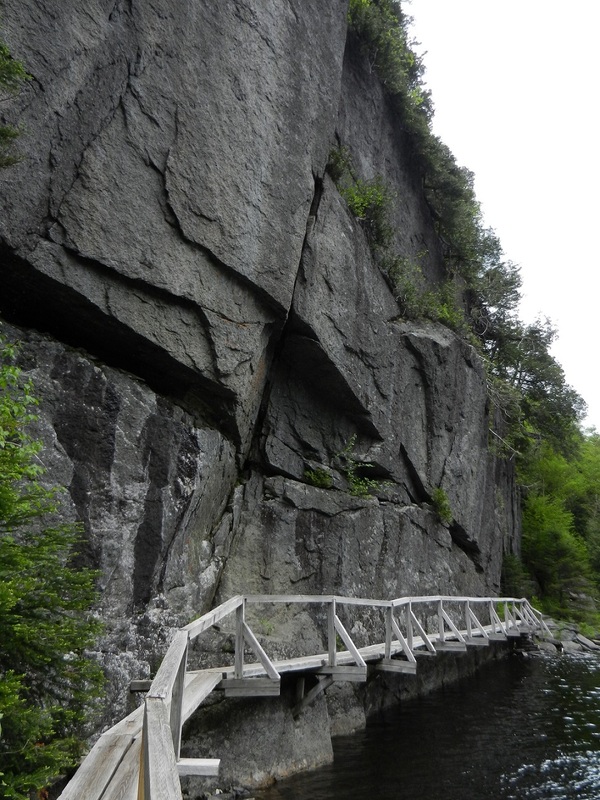 There are portions where the path disappears and you have to traverse the bridges bolted to the rock wall. This is a shot from a hike Bryan and I went on on our honeymoon up in Bar Harbor. We were hiking Beehive which is shaped like a beehive. In other words, some parts are VERY steep, looking over the edge the whole time. oooo – thanks for the shout-out. 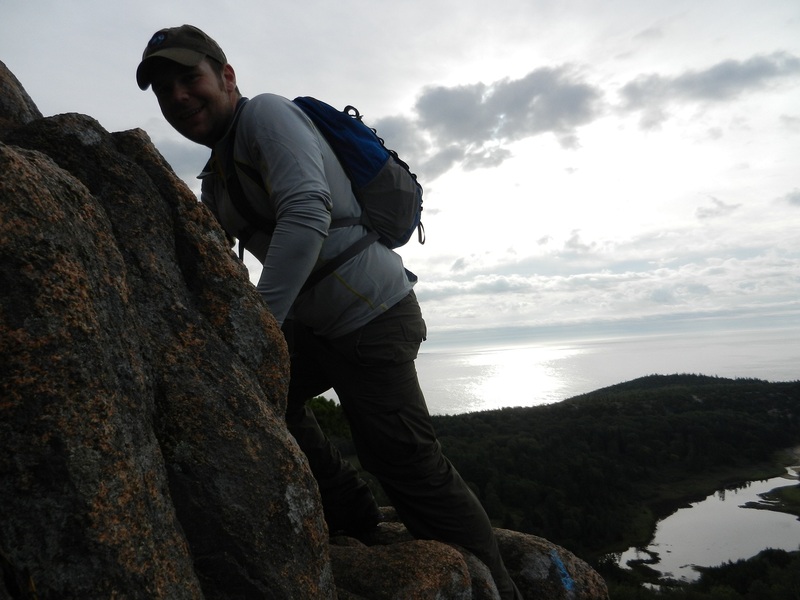 I like to say it’s what keeps me “young” That said, some of the hikes we have done I’ve gotten a bit worried….